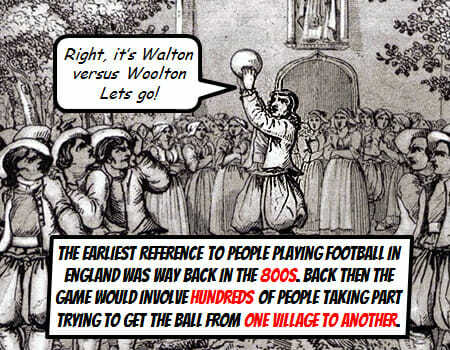 The earliest reference to people playing football in England was in the 800’s. Back then the game back then would involve 100’s of people taking part trying to get the ball from one village to another. 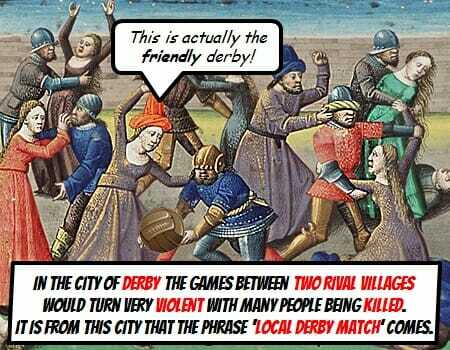 In the city of Derby the games between two rival villages would turn very violent with many people being killed. It is from this city that the phrase ‘local derby’ match comes. 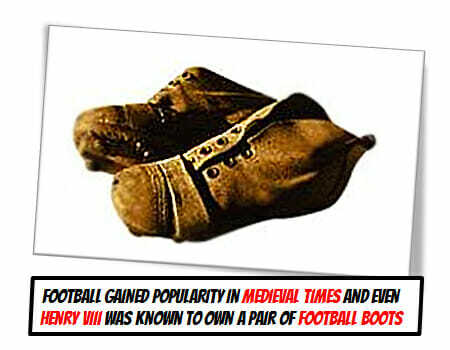 Football gained popularity in Medieval times and even Henry VIII was known to own a pair of football boots. 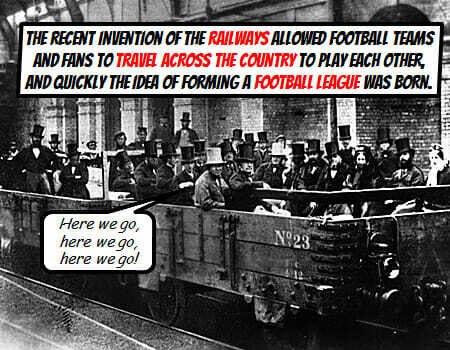 The Victorian invention of the railways allowed football teams and fans to travel across the country to play each other, and quickly the idea of founding a football league was born. 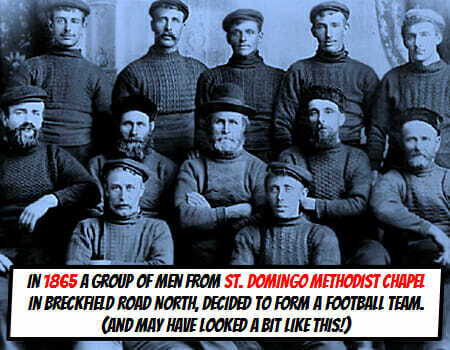 In 1865 a group of men from St. Domingo Methodist Chapel in Breckfield Road North, Liverpool decided to form a football team. 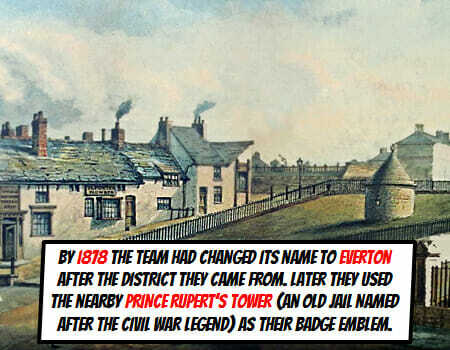 By 1878 the team had changed it’s name to Everton after the district they came from, later they used the nearby Price Rupert’s Tower (an old jail named after the civil war legend) as their badge emblem. 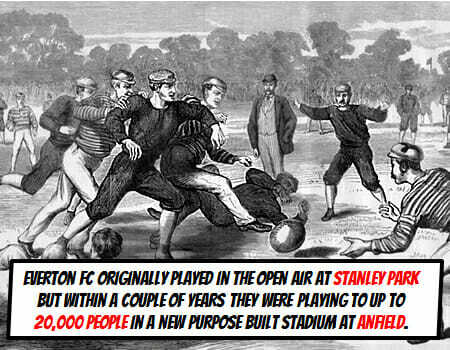 Everton FC originally played in the open on air at Stanley Park but within a couple of years they were playing to upto 20,000 people in a new purpose built stadium at Anfield. 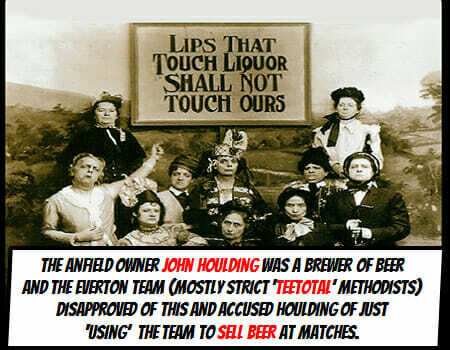 The owner of Anfield John Houlding was a brewer of beer and the Everton team (mostly strict ‘tea-total’ Methodists) disapproved of this and accused Houlding of just using the team as a means of selling Beer at matches. Everton FC soon left the Anfield ground to go and play at Mere Green field in Walton. 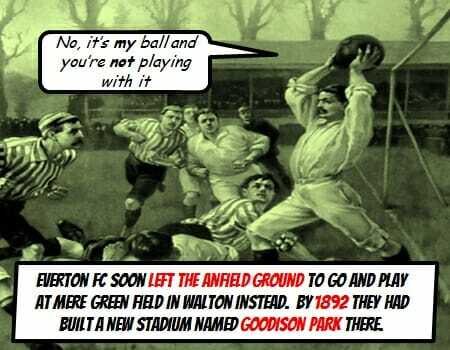 By 1892 they had built a new stadium named Goodison Park there. 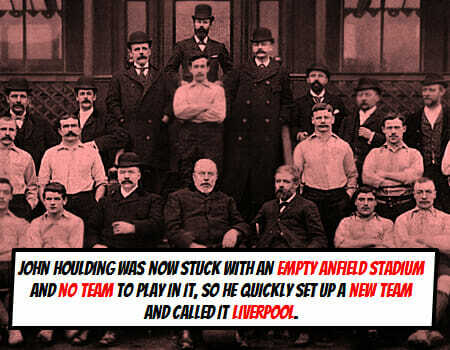 John Houlding was now stuck with an Anfield stadium and no team to play in it, so he quickly set a new team up and called it Liverpool. 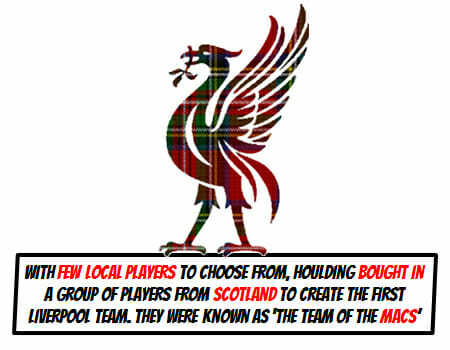 With few local players to choose from, Liverpool bought in a team of players from Scotland to create the team and for their first four years actually played in Blue! 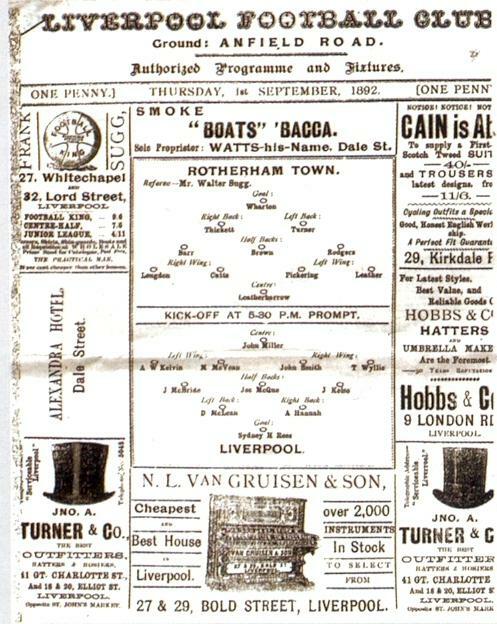 On 22nd April 1893 the first Everton V Liverpool ‘Derby’ match took place. 10,000 people watched Liverpool win 1-0. The season after however, Liverpool were relegated! 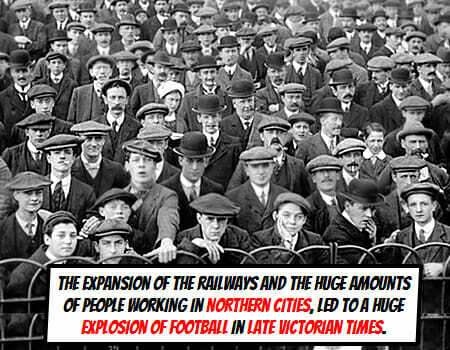 The expansion of the railways and the huge amounts of people working in northern cities, lead to a huge explosion of football in late Victorian times. 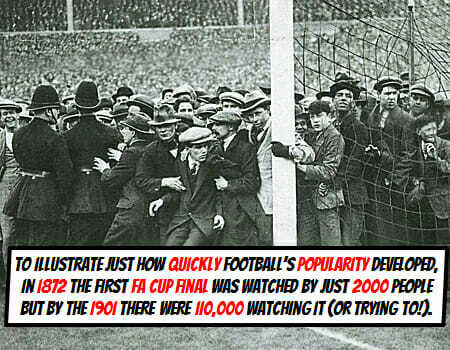 To illustrate just how quickly footballs popularity developed, in 1872 the first FA Cup final was watched by just 2000 people but by the 1901 there were 110,000 watching it (or trying to!). 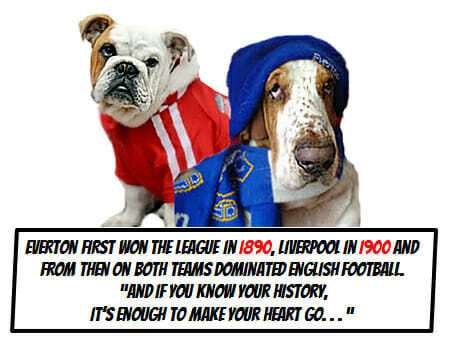 Everton first won the league in 1890, Liverpool in 1900 and from then on both teams dominated English football and if you know your history, it’s enough to make your heart go…..
Liverpool Football History. Victorian Liverpool History. KS3. GCSE History. Victorian Liverpool. Everton. 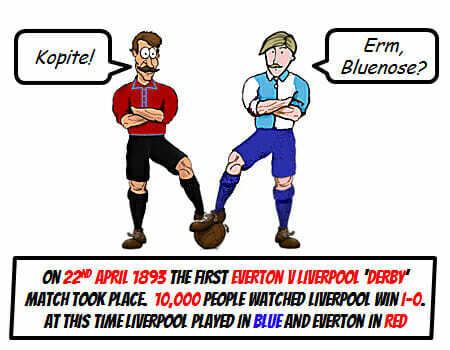 Everton History. Liverpool. Football. St Domingos. St Domingo FC.